Tonight we get together to celebrate the forthcoming formal signing of The Sister Cities Agreement between Jinan, China and Nagpur, India. First of all, on behalf of the Consulate General of the People's Republic of China in Mumbai, I would like to extend my sincere congratulations to the two prosperous cities of China and India, and wish their exchanges and cooperation will bring fruitful results in future. The peoples of China and India are friendly. 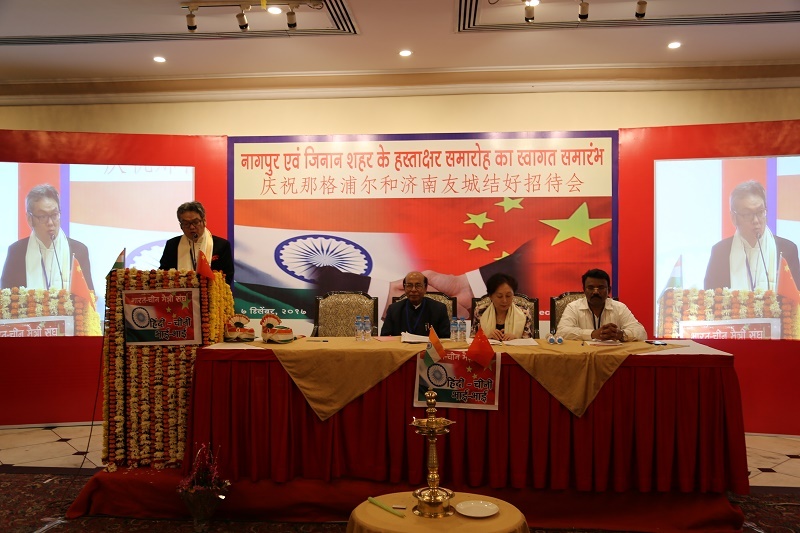 I believe the moment Ms. Lei Jie and her delegation set foot on Nagpur's land, they must have enjoyed a warm welcome from India-China Friendship Association and other local Indians, thus they must have felt the heat wave of Sino-Indian friendship. When I first arrived in Mumbai in early 2015 as Consul General, I received an invitation from His Excellency Shri Devendra Fadnavis Ji, Hon'ble Chief Minister of Maharashtra, to visit his hometown Nagpur. So after I took office, I visited Nagpur first. In this sense Nagpur could be considered as my first love on this magical land of India. In November 2015, at the invitation of Shri Fadnavis Ji, my wife and I visited Nagpur again and participated in the Kalidas Art Festival. We were also fortunate enough to attend the Vidarbha Travel Fair with His Excellency. 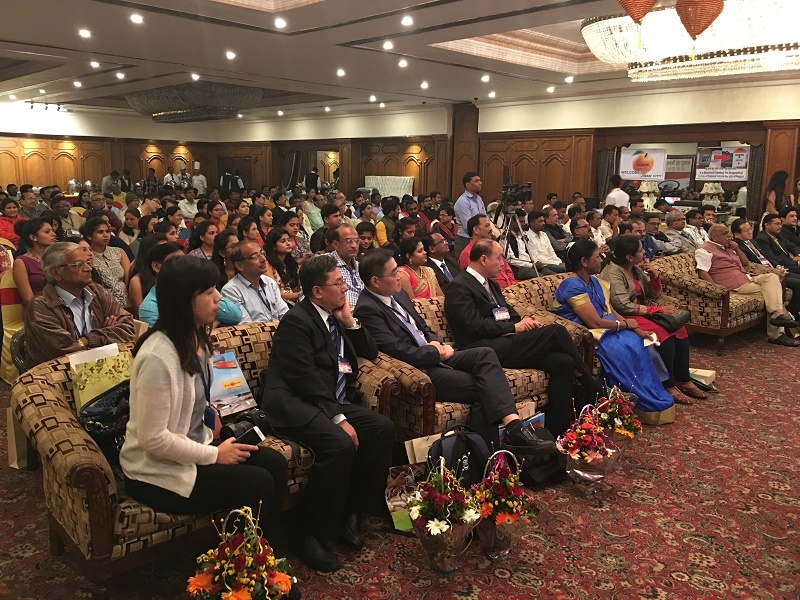 I remember that Chinese students from Mahatma Gandhi International Hindi University performed wonderful programs on the occasion. 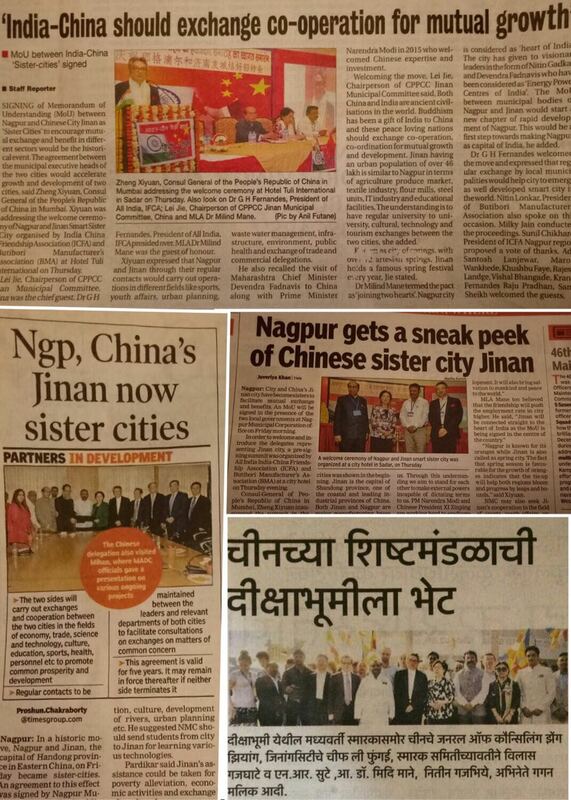 In June 2016, Mr. Li Yuanling, Deputy Consul General, accompanied Jinan City Delegation to Nagpur, and the both sides signed the MOU for establishing sister cities relations. Today, as New Year 2018 is around the corner, we are pleased to see that the two beautiful cities will finally tie the knots in the wedding season of India. Tomorrow morning, on behalf of Jinan, Hon'ble Chairman Lei Jie will formally sign The Sister Cities Agreement with the representatives from Nagpur. Dear friends! Nagpur is known as "Orange City" which symbolizes the aroma and sweetness of oranges. Jinan is known as "Spring City," and there are 72 springs in the city, especially Baotu Spring. For thousands of years, the crystal clear spring water has been pouring forth, symbolizing the vitality of this great city. Today, the clear spring water as well as the sweet red orange signifies the long-lasting friendship between the peoples of China and India. Jinan is a heavy industry base in China and Nagpur is home to the "Make in India" initiative. After the two cities are well connected, both sides have many opportunities for cooperation in the manufacturing sector. However, we had better give priority to strengthening exchanges in coordinating the harmonious development between urban and rural areas, and in helping disabled people, women and children. Nagpur is a model for building "smart cities" in India, and Jinan is an example of China's targeted poverty alleviation. If we conduct cooperation in these respects, I believe we can not only benefit our peoples, but also further promote mutual understanding and trust between the two sides. The Consulate General and I are willing to work together with you, hand in hand! In conclusion, I am honored to take this opportunity to thank Dr. Fernandes and all the other friends from India-China Friendship Association for your warmness and friendliness. I am also grateful to the friends of the Butibori Manufacturing Association and Dr. Mane. You are the sweet red oranges and the clear spring water, injecting vigor and vitality for the friendship between China and India.